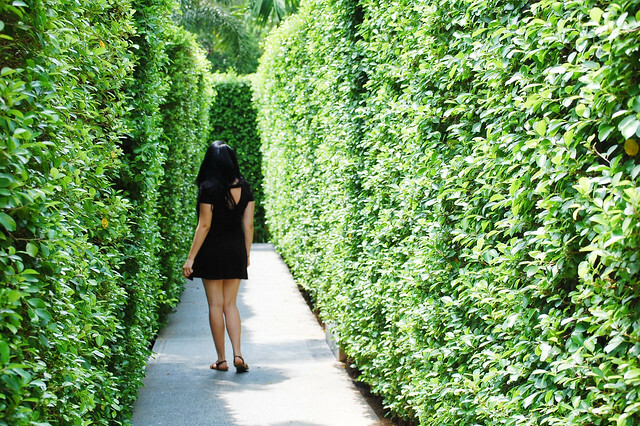 Thailand has been one country that consistently surprises us in the best of ways. We recently shared about our experience in Surin Beach, Phuket, and how we found a quiet paradise on Thailand’s largest island. 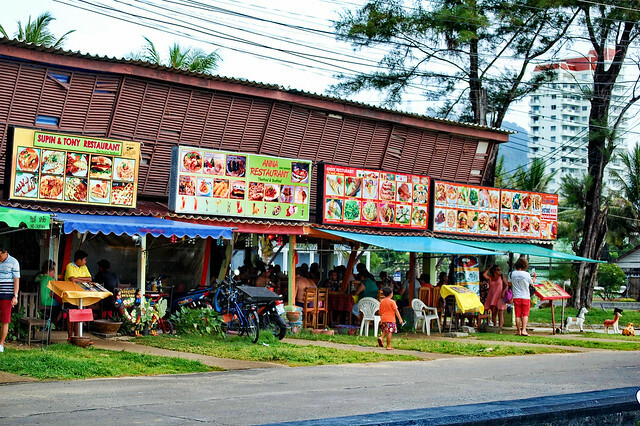 Now we’re taking it South and divulging the ins and outs from our time in Karon, Phuket. 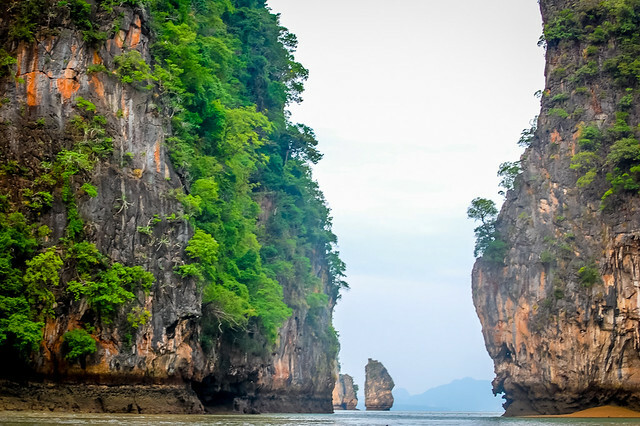 We had a difficult time deciding what excursions to take during our time in Phuket, with Phi Phi Island and James Bond Island stealing the limelight, and several other alluring, lesser known islands to choose from. 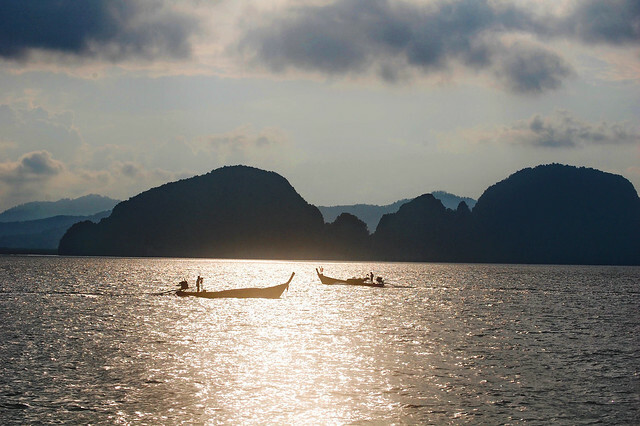 In the end, we chose a Phang Nga Bay sunset tour and couldn’t be more pleased. We opted to head toward Hong Island and Phangha Island. The great thing about staying in Karon is that most of the tours will pick you up from your hotel at no additional cost. Our first stop was Phangha Island, where the tide had receded just enough to walk through. 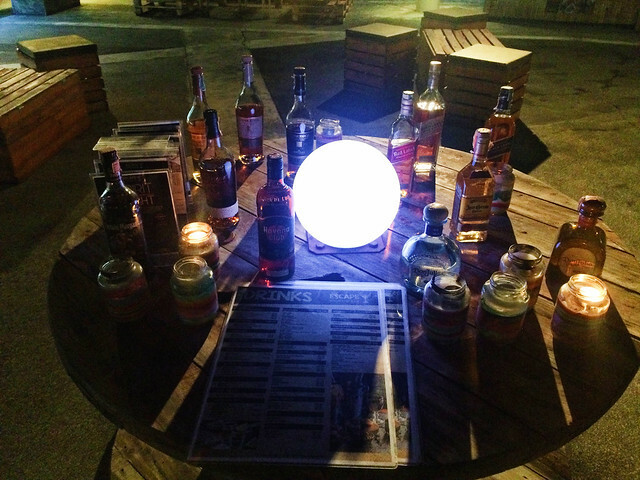 We paused halfway to light coconut candles and placed them in the water to peacefully float onward. Then, venturing a bit further, we came to a hidden jungle cove, which is usually inaccessible because of the tide. 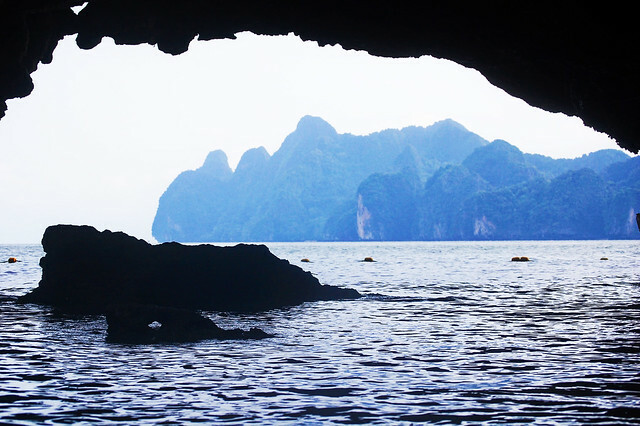 Then, it was off to Hong Island, which was larger than Phangha and equally as beautiful. 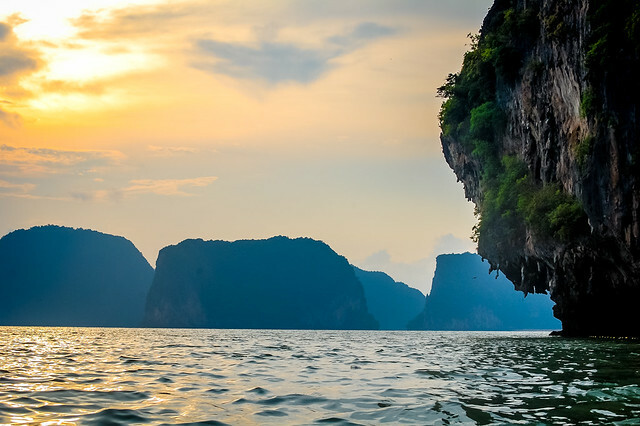 We jumped back on the speed boat to head back to mainland Phuket and feasted on an array of scrumptious seafood while we watched the sun go down behind the limestone cliffs. 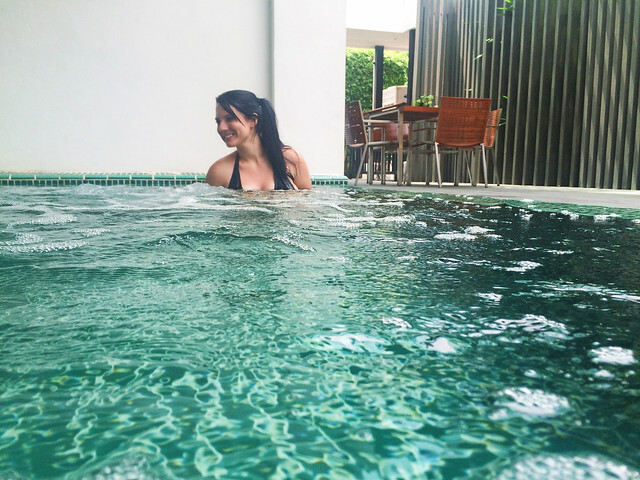 We stayed at the lovely Novotel Phuket Karon Beach Resort and Spa and savored every moment. This place was pure bliss. 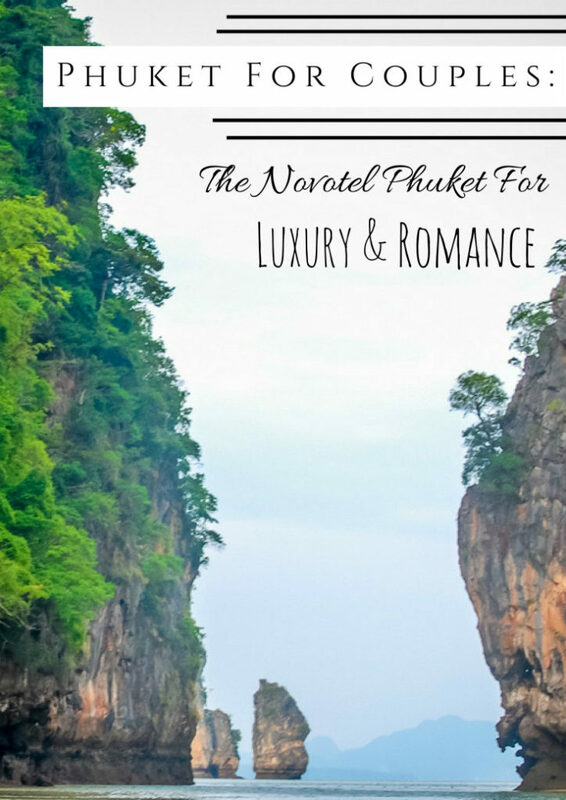 A quick Google search will show you several different Novotels in Phuket alone. Yet, for us, each of the Novotels we visited had a totally different vibe. 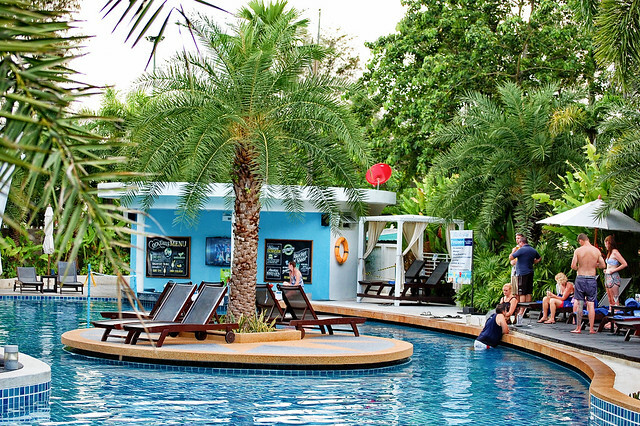 While the Novotel Phuket Surin Beach is the ultimate resort for families, we found the Novotel Phuket Karon Beach to be a dreamy resort for couples. It’s got a peaceful, luxurious vibe that makes it particularly romantic. 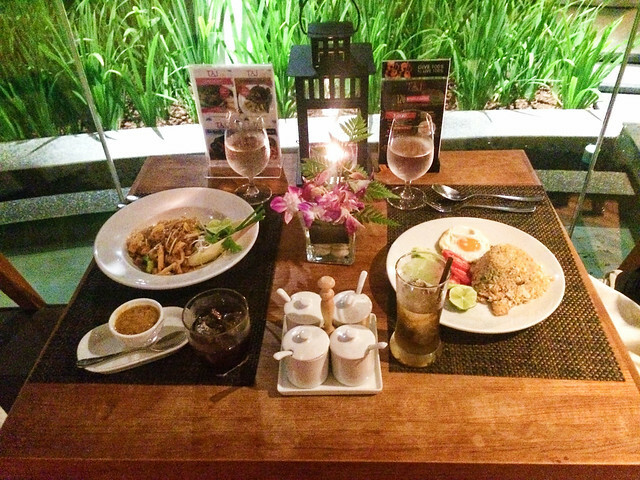 Between soaking in our personal plunge pool to indulging in a candlelit Thai dinner, the Novotel Phuket Karon was nothing short of a dream. 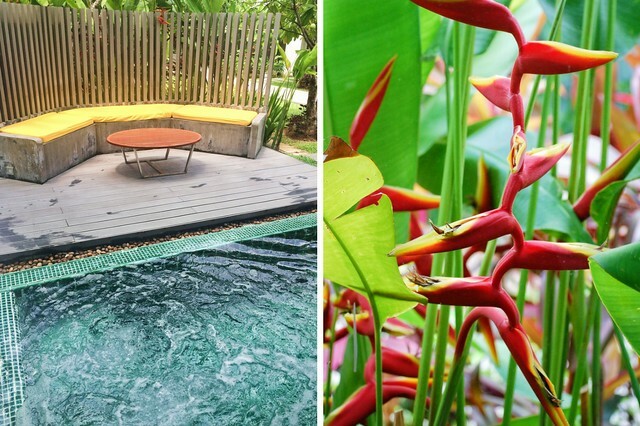 The property is clad with bright flowers and thick green palms. 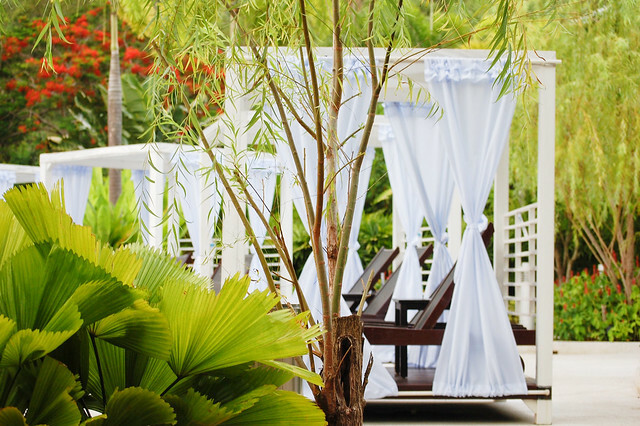 Luxurious white cabanas surround the serene crystal pool, complete with a pool bar and poolside restaurant. There are three different pools spread throughout the property, one of which is for kids. The fitness center overlooks one of the pools, which helps to incentivize your workout. 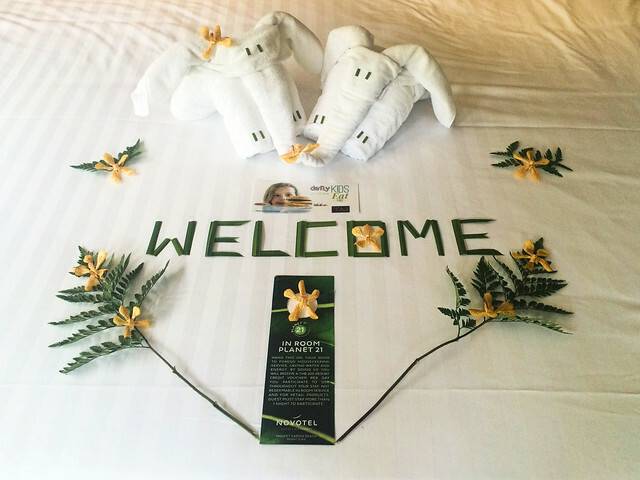 We loved the way the Novotel Phuket Karon put thought and care into every little detail of our stay. 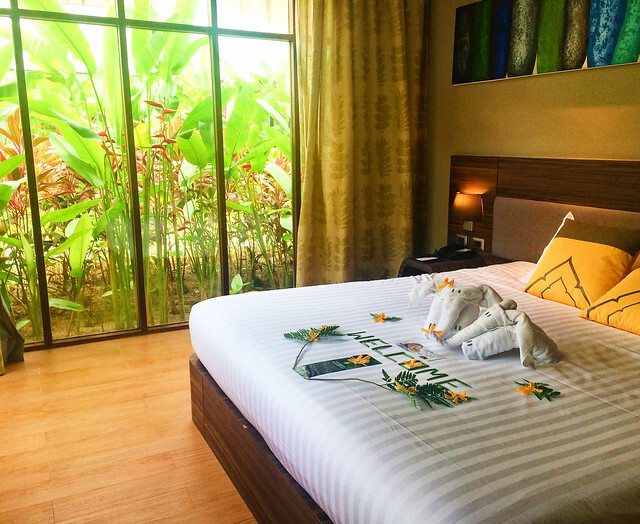 We appreciated the green initiative this resort takes by providing an option to skip room cleaning and receive a 200 baht ($6) voucher to take off your bill for saving water. They also surprised us each night with little snacks delivered to our door; our favorite were the macarons. 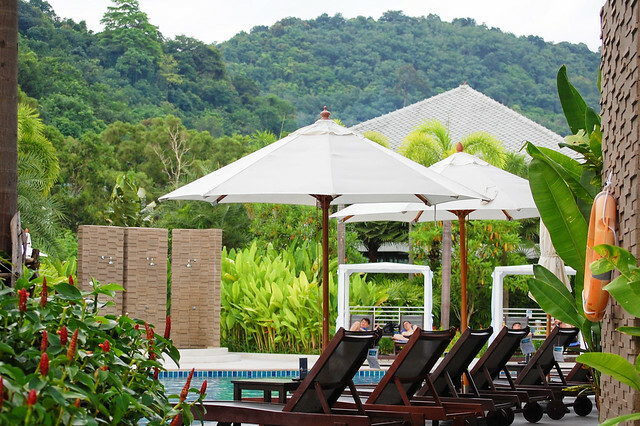 Plus, this Phuket Resort offers tons of great ways you can amp up your vacation in style. Couples can enjoy a private, candlelit dinner by the pool, or you can order a bubble bath kit to luxuriate your tub. 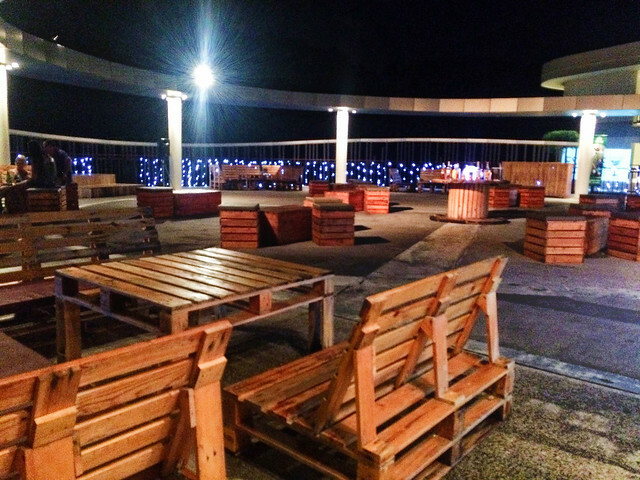 Not to mention, it’s located in a quiet area, with several local restaurants. 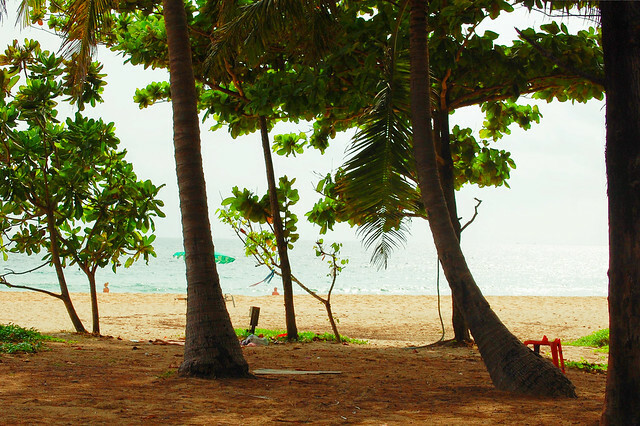 Karon Beach is just across the street, and you can walk there within minutes. Our suite seemed fit for a king. 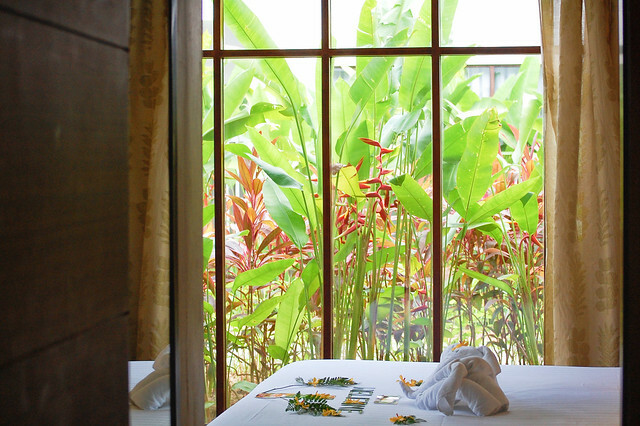 A personal plunge pool with jets was right outside our door, surrounded by a private terrace, and one of our walls was completely glass and covered with stunning Thai flowers. Not to mention, the large soaking tub and separate living room with TV. 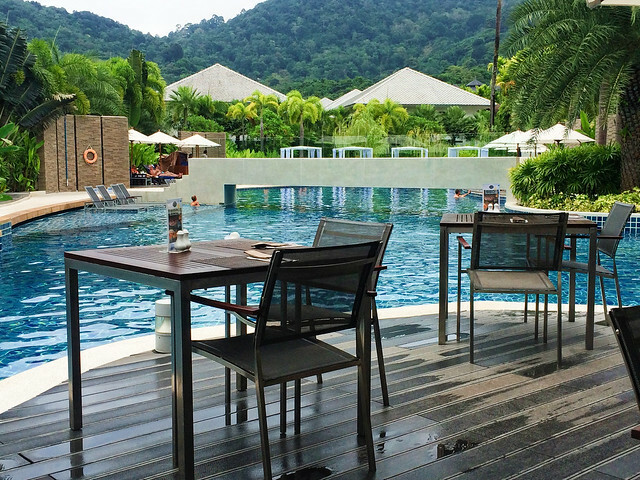 The Novotel Phuket Karon has three different restaurants and two bars, including a trendy new rooftop bar. The breakfast buffet was simply incredible. They had just about every food you could imagine, including a variety of sushi, an omelet bar, and fresh tropical juices. 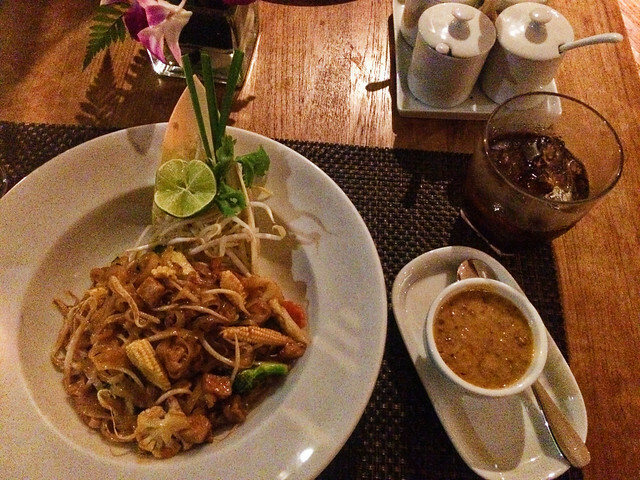 We spent an evening at the TAI restaurant, indulging in a candlelight dinner of delicious Pad Thai with freshly made peanut sauce and a Black Russian to drink. Our waiter, Nu, went out of his way to make sure our meal was nothing short of perfection. He spent time checking in with us on how our stay was going and providing insider tips about the area. The Novotel Phuket Karon Spa was intricately decorated with ornate Asian artwork that created a peaceful vibe. 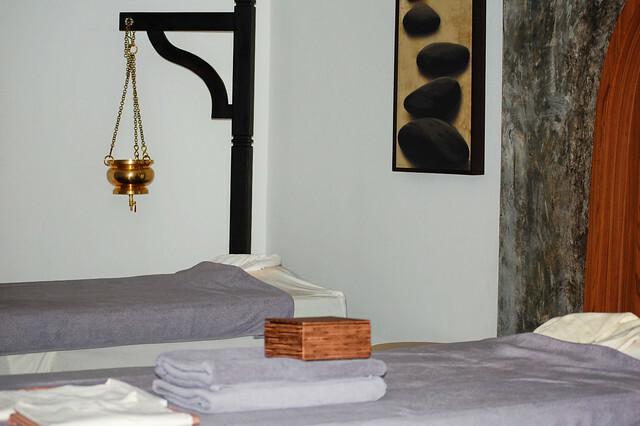 We pampered ourselves with a 60-minute Thai couples massage, and it was so good we had to go back for head massages later. The Novotel has tons of fun deals to make luxury a bit more reasonable, like 50% a jet-lag massage during the first 24 hours after you check in. 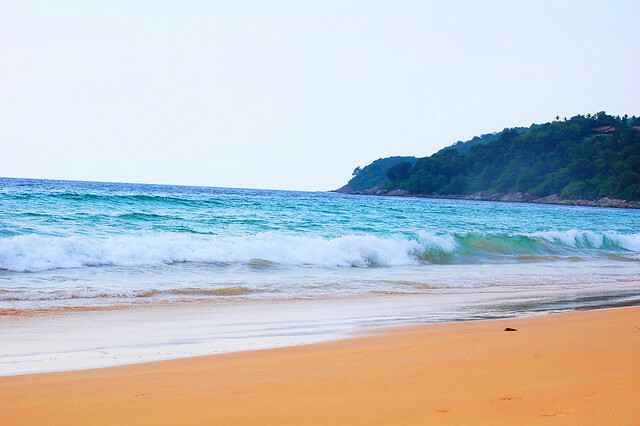 Overall, our time at Karon was one marked with luxury, bliss and romance. 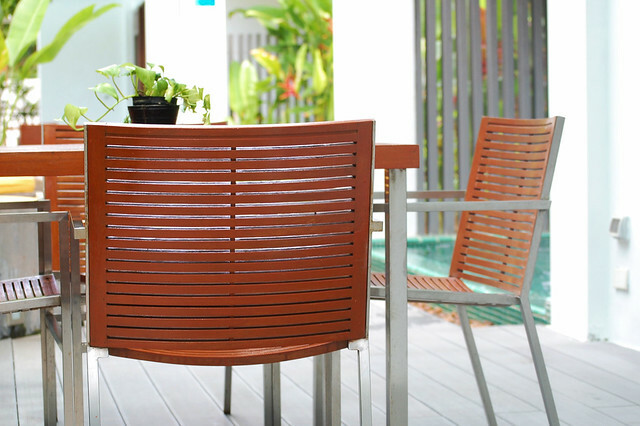 We would highly recommend this hotel for couples looking to explore Phuket. Plus, they have a lovely Phuket Honeymoon Package that would go beyond any newlywed’s expectations. 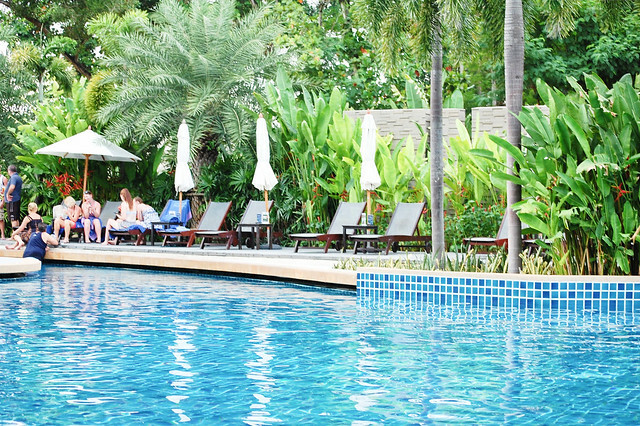 Missed our review on the Novotel Phuket Surin Beach? Check it out here! 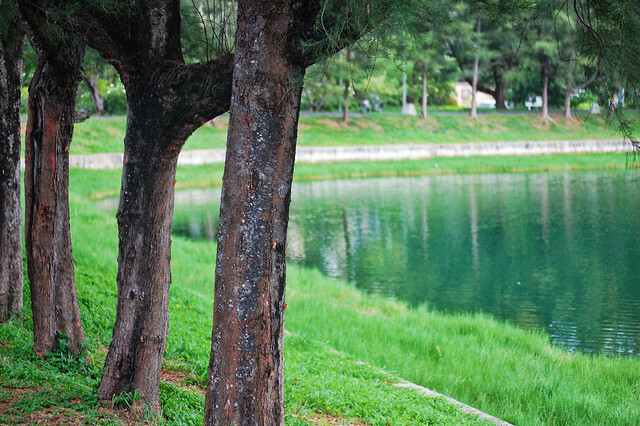 What’s your favorite place in Phuket? Share your memories in the comments below! 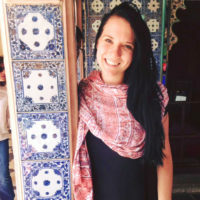 Whether it’s hanging with elephants in Thailand, backpacking through India, or gazing in awe at Victoria Falls, Alexis lives for once-in-a-lifetime experiences. Now a writer for A Cruising Couple and Chief Project Manager for Untethered Media, Alexis still spends her days traveling as often as she can. Love this post! Sounds like a wonderful place to visit. So happy you all got to celebrate your anniversary there. Love you lots. I m feeling much better today. Soon will be back to full power.